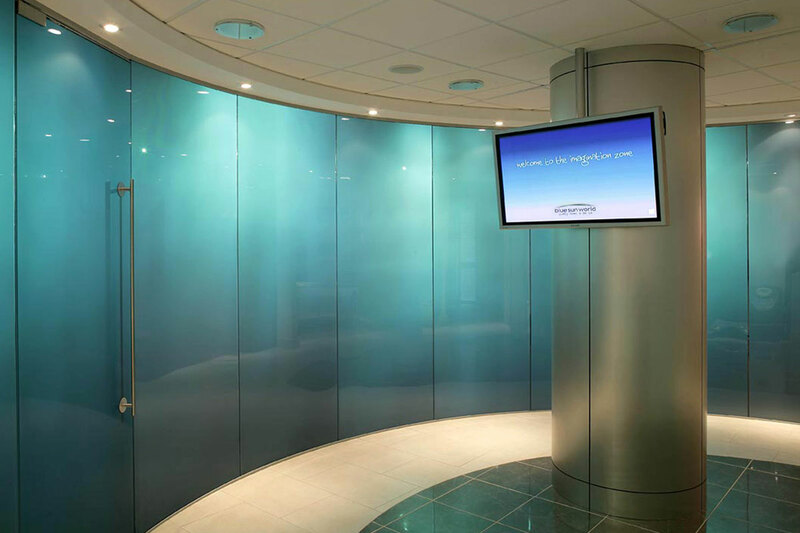 The Lunar™ Smart Glass Partition System utilizes PDLC (Polymer Dispersed Liquid Crystal) technology which allows completely transparent glass to transform to private in I millisecond. 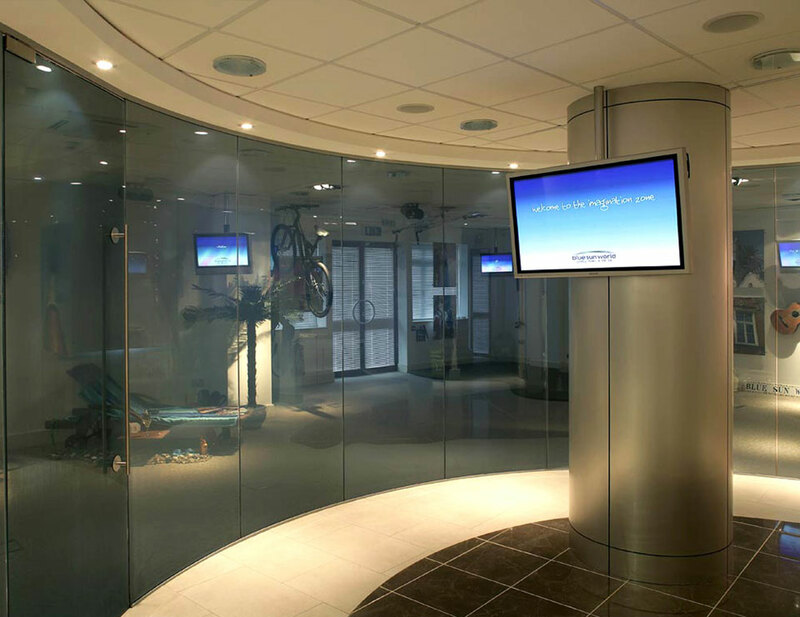 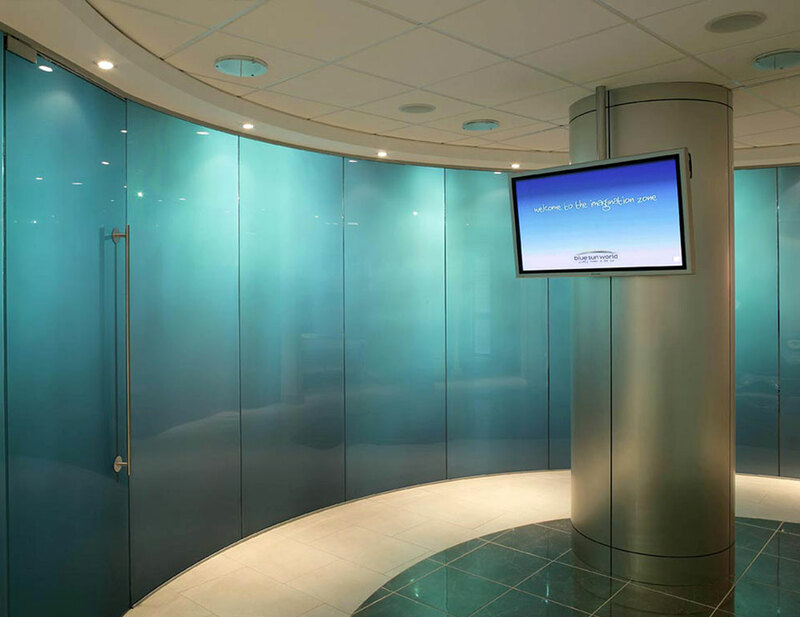 It is able to provide stylish glass partitions with the option of privacy of a traditional wall. 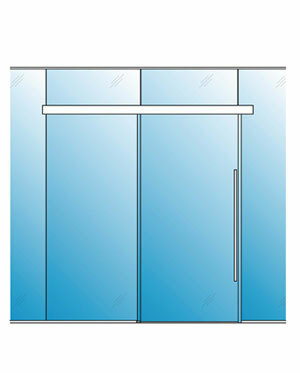 Some features include: low power consumption, senor capabilities, linear or curved configuration options, optional colors and custom graphics, solar reduction up to 40%, single and double glazed, and fully de-mountable. The Lunar™ LCD Smart Glass Partition System may be integrated with any of our floor-to-ceiling or freestanding glass wall systems. 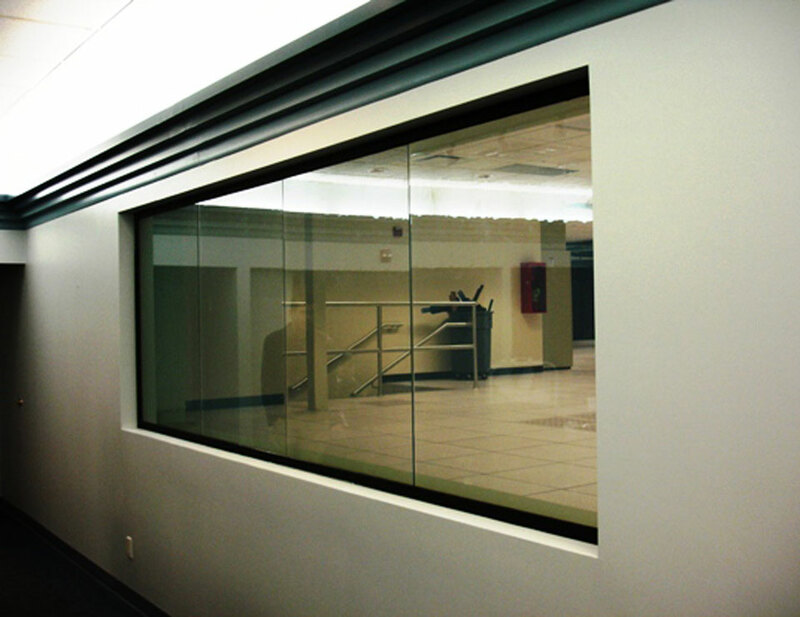 The system accommodates laminated LCD glazing in thicknesses of 5/16” to 3/4″. 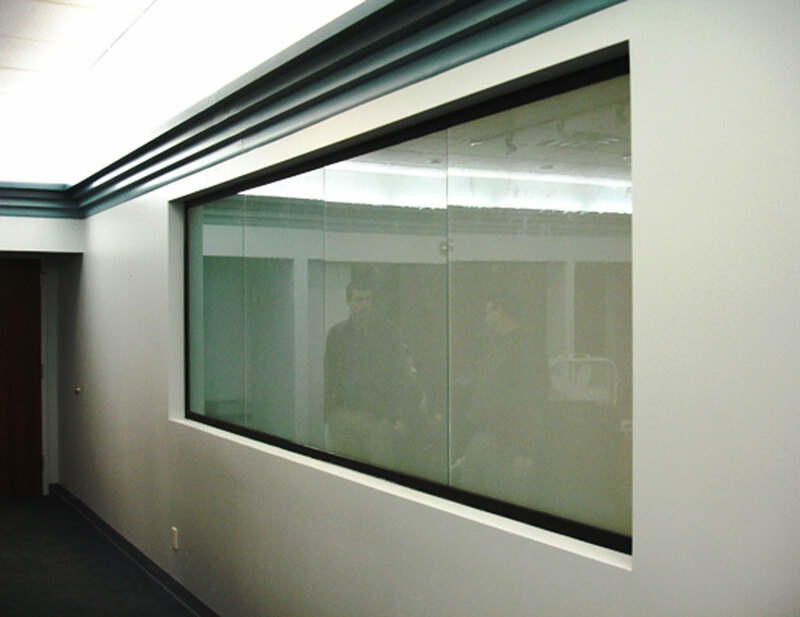 The maximum panel size is 41”x 144”. 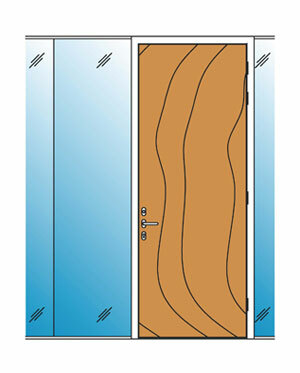 Configurations may be straight, angled or curved. 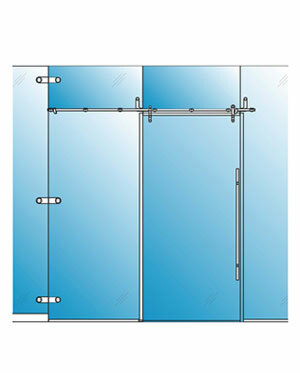 LCD, pivot, sliding and hinged doors may be installed. 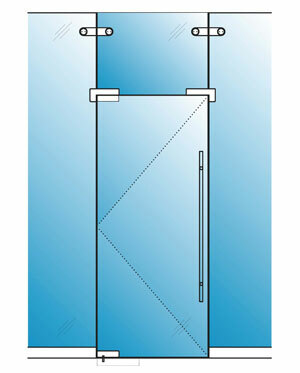 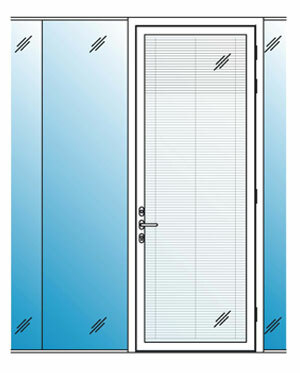 Glass doors (single glazed and double glazed) are all compatible within the system. 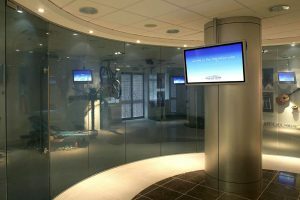 Standard frame finishes include: polyester powder coated finish (RAL), brushed finish, stainless steel finish and custom finishes are also available.